One of the most popular savings products of recent years - the index-linked bond - is being reintroduced by National Savings and Investments. The product, which gives savers a protection against inflation, was taken off the market because of high demand in July 2010. Savers will be able to invest up to £15,000 tax free in a five-year bond with an interest rate of RPI plus 0.5%. Building societies fear the move could affect their ability to raise funds. In the Budget in March, the Chancellor of the Exchequer, George Osborne, increased the net financing target for NS&I by £2bn. To meet this target NS&I needs to achieve inflows from savers of some £14bn. This has allowed the potentially attractive inflation-beating savings product to be reintroduced. However, the deal is less generous than previously, when interest was RPI plus 1% and savers had the choice to invest for three or five years. Savers are also being reminded that the money is designed to be invested for five years, so interest would be less generous if money is withdrawn within that period, and there is a chance that the offer could be withdrawn again if the quota is filled. "Our aim is to keep Savings Certificates on sale for a sustained period of time and to enable as many savers as possible who wish to invest to do so," said Jane Platt, NS&I chief executive. The interest is calculated on an annual, not a monthly basis. On each anniversary, NS&I calculates the interest by using RPI figures at the start and end of each year of investment. The minimum amount that can be invested is £100. The only comparable product on the market is provided by Birmingham Midshires, according to financial information service Moneyfacts. In this deal, interest is linked to RPI plus 1.5% over five years, although the minimum investment is £500. "NS&I offer the tax-free element with their deal which should attract customers, along with it being a well-known and solid provider," said Louise Holmes, of Moneyfacts. "Both deals are fixed for a five-year term which means customers must be willing to tie up funds for the duration of the term. Cashing in funds within the first year will result in no interest being paid. "Also, the rate tracks RPI. Inflation is predicted to fall so over a five-year period customers could be left with a lower return than hoped." 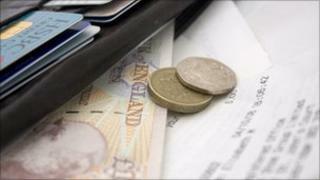 The Post Office and Derbyshire Building Society withdrew their inflation-linked deals recently. During the financial crisis, the 100% guarantee that savings would be secure at government-backed NS&I led to a "flight to safety" by some worried savers. The government slowed this by effectively securing that no saver would lose any money if a bank or building society went bust. Subsequently, low interest rates offered elsewhere meant that the inflation-linked bonds proved extremely popular and so were halted. NS&I works under rules that say it must not dominate the savings and investments market. A spokeswoman for the Building Societies Association (BSA) said that any switch of savers' funds to NS&I could impact on how much lenders can give out in mortgages. "We can see that the product is going to be popular, but it will inevitably have an impact on private sector institutions seeking to raise funds to lend to first-time buyers and other mortgage borrowers," she said. "This should not be underestimated." She said that building societies had to compete for limited access to funding. On Wednesday, Bank of England governor Mervyn King said inflation was expected to reach 5% later this year.